Every day is a school day in Home Brew! In case you hadn’t picked up on it, I am a pretty big fan of all things to do with beer, especially home brew! I spend way too much time obsessing over the latest beers, thinking up new ideas for videos to share with you and trying to create great recipes in my green shed brewing system. 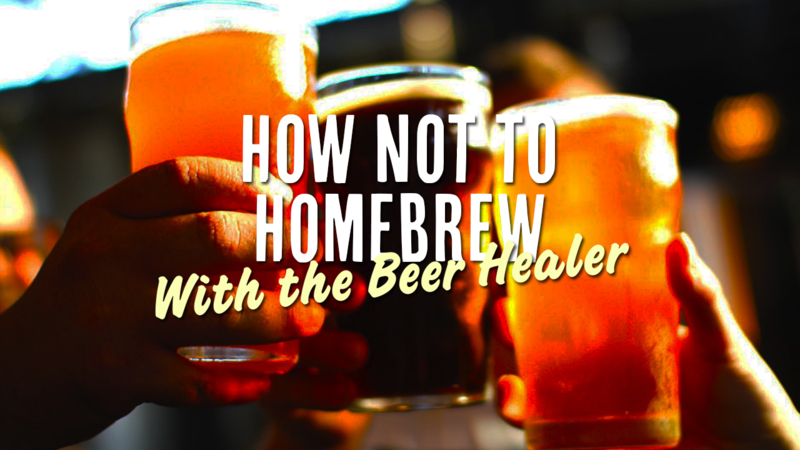 I have varying levels of success with these activities, which brings me to one of my latest video topics…home brew, and the mistakes I make! I recently posted a video about my brew day where I had a little accident with my cooling system…the hose popped off and filled my kettle with a bit of extra water. It was probably my most successful video to date, maybe home brewers love YouTube, maybe home brewing is more popular than I thought, maybe you guys were just enjoying a bit of a chuckle at my expense, or maybe the home brew fraternity were keen to help me solve some of my problems? I am gonna choose to believe that it was the brothers in brewing wanting to help me out that boosted the numbers, but either way I am happy to share my experiences and really enjoy the helpful feedback I have received on Reddit, YouTube, Aussie Home Brewer and Facebook. I received suggestions from home brewers in all corners of the globe! 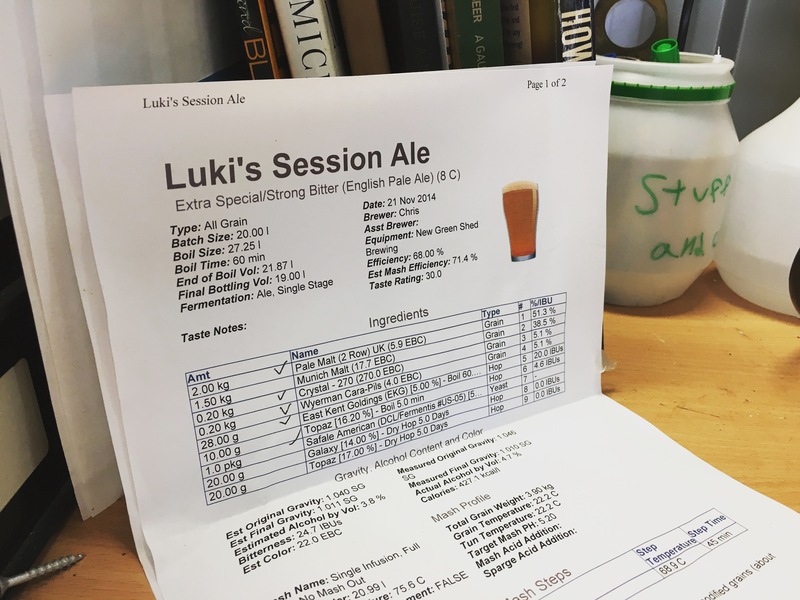 I really did take on all the feedback form the home brewers around the world, and made a few changes to my brewing as a result. 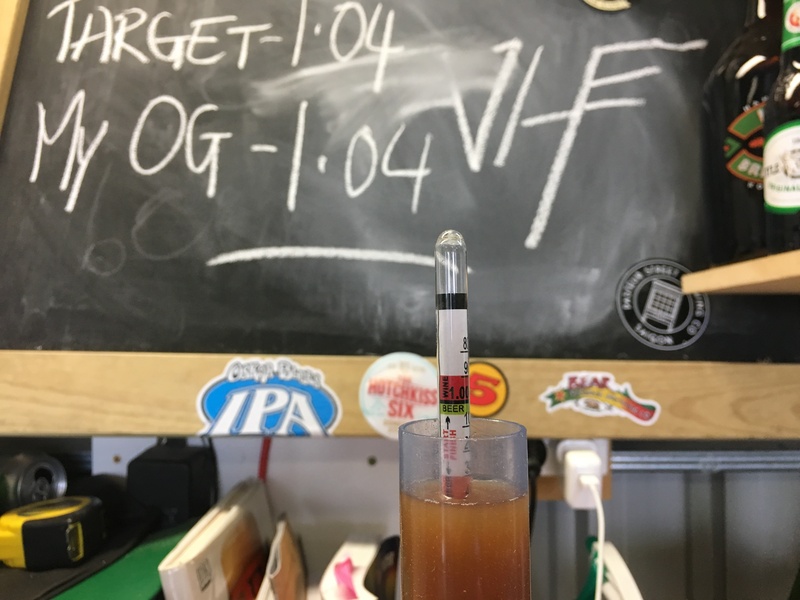 I was a little hesitant to get back in the brewery, plus life has been a little bit busy of late, so it has taken me a while to get in and brew another, but this week I did it. I thought it might be fun to film the brew day to share with everyone so they could check back in and see what I had changed as I successfully brewed a beer without a hitch. Well, trying to make a video while brewing isn’t as easy as it sounds. You are thinking about the actual brew itself, trying to set up lights for the filming, thinking about how the video will flow with cut away scenes, making sure the audio is all set up, and making sure all the steps of the brew are followed. In attempting this, I of course mucked up a few bit and pieces…but you will see that in the video. Enjoy, and of course I would love to receive your feedback…so watch away! Cheers to great home brewed beers! I’m not sure, I guess I just did it with my dry hopping and thought I should do it for all hopping? Maybe not?